Recently, I found out that sometimes it doesn’t love me. It was worse than the worst heartbreak of my teen years. In all of my extra and in all of my glory, I never dreamed this could happen to me. Social media is the foundation of my career, after all. Coding is the new Spanish. When I was in high school, the best advice I received from an y adult willing to give me advice was to learn a foreign language, preferably Spanish. I was advised that I would never have a problem finding a job if was bilingual. And for the most part, that advice was correct. In addition to learning to speak another language, I learned to appreciate another culture, and I’ve had several opportunities to meet people from all over the world. When I started on the parenting journey, I was convinced that my kids would have the same opportunities as I’ve had, as long as they learned to speak Spanish. So I did what most parents do, and demanded they learn Spanish and enjoy it. But because I was so busy demanding, I didn’t stop to listen to them or look at the world around me. 1. Computer science drives innovation throughout the US economy, but it remains marginalized throughout K-12 education. 2. Only 27 states allow students to count computer science courses toward high school graduation. 3. There are currently 586,107 open computing jobs nationwide. 4. Last year, only 38,175 computer science students graduated into the workforce. When I took a minute to take note of these trends, I realized very quickly that while Spanish was nice, my kids really needed to learn how to code. And so they did. And they enjoyed it. So I took it a step further. They’ve participated in a hack-a-thon, summer pre-engineering program, STEM camp at a local university, and recently attended a STEM event sponsored by Microsoft. I’ve made sure that despite their artistic and athletic endeavors, they have a good foundation in computer science. In this digitally-driven world we are living in, it is imperative that children know and understand computer technology, internet safety and security, and the basics of coding. It even appears that like Spanish was for me in the 80’s and early 90’s, computer science graduates should never have a problem finding a job. Our children need to have a foundation in computer science in order to be prepared for the future. As a matter of fact, children as young as five years old can learning coding techniques on the www.code.org website. 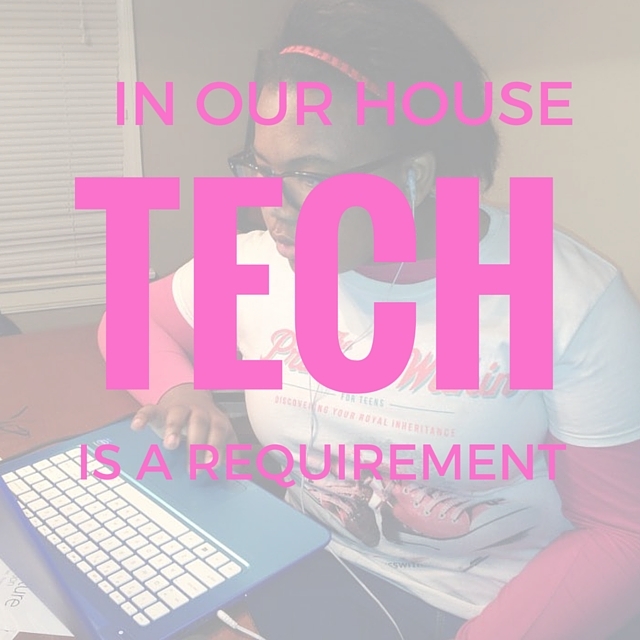 And this summer when I decided to upgrade my skills in hopes of advancing my career, I learned a lot about information technology — including coding. And for the first time since 1990, I haven’t used my Spanish skills to advance my career; instead I’m using my computer skills and that training has paid off.